The spigot design incorporates a slight taper allowing the unit to be trimmed to an exact fit for any existing pipe or installation. BFM® spigots have a 52 mm (2 in) tail that can be cut back to suit existing pipework. Spigots for Tool Release installations require a 6 mm (15/64") hole in the top rim of the spigot. 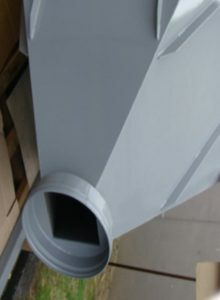 Pre-drilled spigots are available for purchase with your TR Connectors. 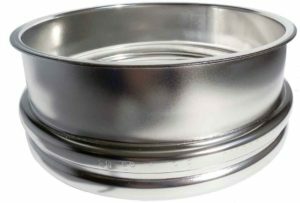 Jacob flanges are available that allow the spigots to be installed or removed in seconds without tools. 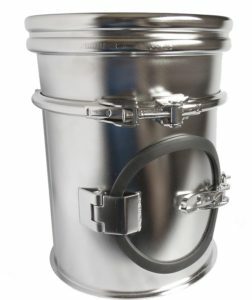 For more heavy duty applications we can provide 150# flanges or ferrule ends for sanitary applications. For more details view the spigot drawing. Note: For applications where electrostatic charge may build up, we recommend using a grounding strap to connecting the two BFM® spigots together. 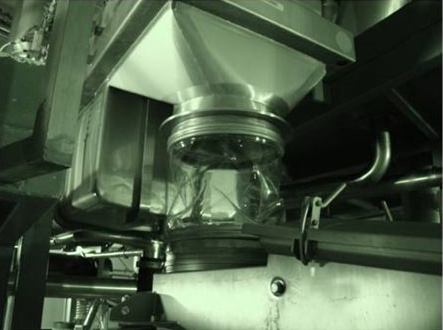 Wall Thickness Ø 100 mm / 4" = 1.5 mm / 1/16" Ø 150 mm / 5" upwards = 2.0 mm / 5/64"
Available Diameters (Stainless Steel) 100 mm, 125 mm, 150 mm then in 50 mm increments up to 1,650 mm 4", 5", 6" then in 2" increments up to 65"
What is the wall thickness of the BFM® spigots? 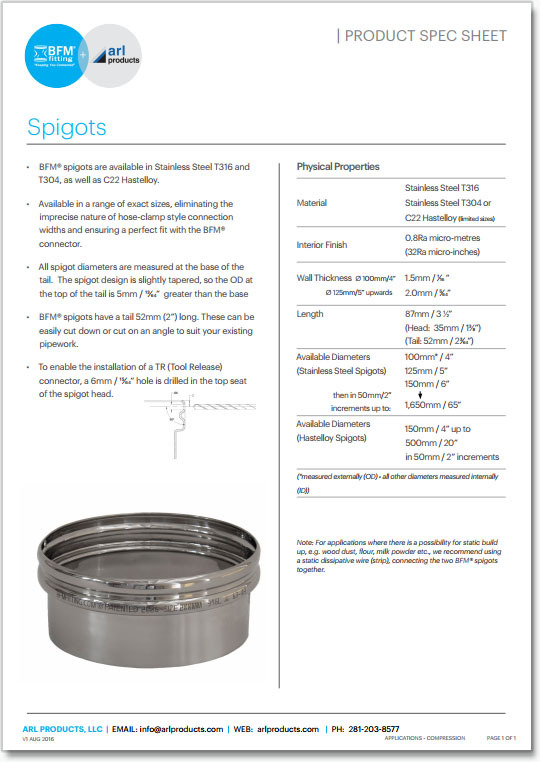 100 mm diameter spigots are 1.5mm thick. All other spigot sizes are 2 mm thick. What are the materials of construction of BFM® spigots? BFM® spigots are made from 304 SS, 316 SS, and C22 Hastelloy. What is the interior finish of the spigots? 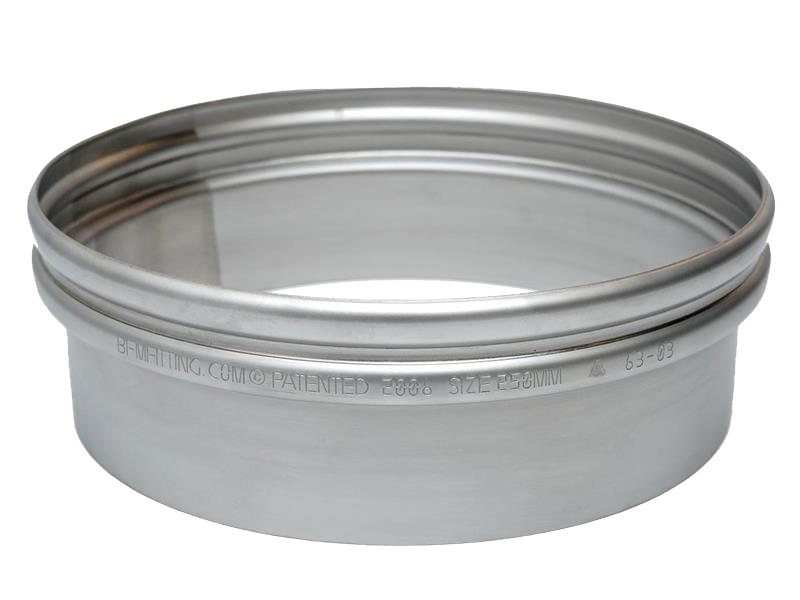 The Roughness Average of the internal finish is 0.8 micrometers (32 Ra microinches). Can I use BFM® spigots on square pipe installations?